Affordable Annulment Lawyer Near You! 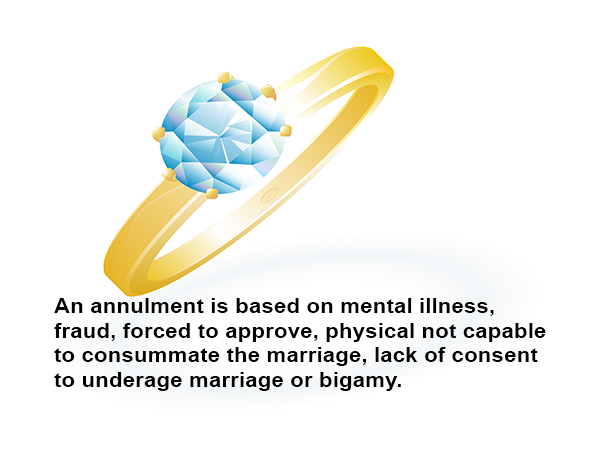 An annulment refers to the legal decree that denies that any marriage was ever valid. The effect of this legal decree is to annul and make void any marriage that existed as if it never existed. Interestingly, before a marriage can be annulled, the length of time the couples were married for is not taken into consideration. The laws of annulment vary by jurisdiction, so the law of one locality might not be similar to the law of another. In order to be aware of the requirements in your area, it is expected that you consult your local laws. This refers to a situation where the consent of one of the parties to the marriage was obtained by coercion or fraud. And the two parties failed to live together as a couple after being aware of the fraud. Citizenship: if one party gets married for the purpose of gaining citizenship, or without representing the fact that he would not fulfill the prenuptial promise in order to become a U. S. citizen. Sexual Relationship: if one party misrepresented a number of factors from consummation to childbearing to fertility (or lack of), homosexuality and more. Health: if one party misrepresented or concealed facts on his/her physical health and mental health either at a former time or the present time. Character, Honesty: if one party misrepresented or concealed certain issues from the past or was forced to marry. Financial: if one party misrepresented or concealed the intention to obtain the other parties’ money, property or wealth, or does not fulfill certain terms in the prenuptial agreement. 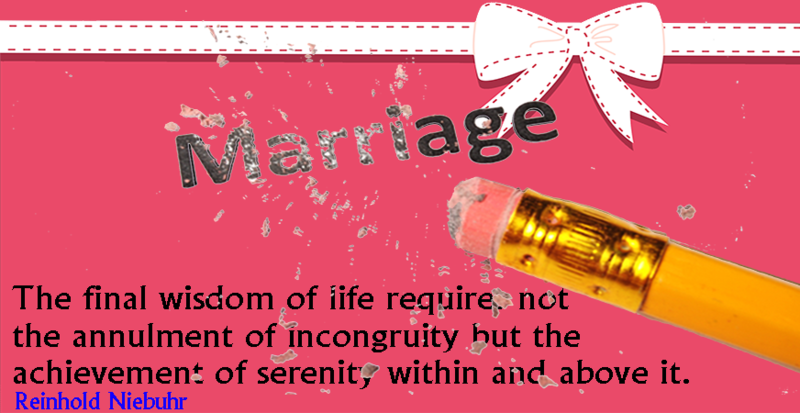 Religion: if one party misrepresented or concealed certain religious facts cogent to the success of the marriage. Not disclosing a previous marriage. Violating the decree of divorce that prohibits remarriage. Entering a marriage as a joke. One or both parties below the age of consent. Temporary insanity at the time of marriage and many more.